SUPERBOWL Traffic Test - eBay vs Bonanzle Completed - Who Won? eBay - Claims and is touted as the traffic "firehose" of eCommerce. eBay - to get traffic, one must list auctions - Just ask eBay about that. eBay - fixed price 30 day - still not as effective as a fixed price (till it sells) listings found elsewhere for outside search indexing. Bonanzle - received more hits on a specific fixed price listing within the same time period as compared to a nearly identical eBay auction listing. Consider this... the last small point is a real quandary for some, why? Because the time period was less than a normal eBay 5 day auction. Sure, auctions are not normally indexed in that short of a time frame, but people still use them. 5 Day and 7 Day auctions do get traffic, they just get it from inside eBay and eBay charges a great deal for access to that traffic. It was a Traffic test, not an external traffic test. Any traffic that is interested in my listings no matter where they are listed, is good traffic. So to point out Auction vs Fixed price as being unfair to eBay is like saying setting up a blanket in a flea market on a Saturday afternoon vs selling in a downtown mall, is unfair to the mall. If I had listed the tickets on eBay as a fixed price 30 day listing vs the Bonanzle fixed price listing I could have guaranteed Bonanzle a win based on my eBay fixed price 30day traffic track record on other items. The only real measure in this short of a time period was to use an eBay auction. Bonanzle does not offer auction listings. The last traffic test we did on the TAJ was between two auction venues - eBay vs OLA and eBay won that one hands down. While most eBay auctions are not indexed by Google, they do get hits from within eBay. In fact, most eBay fans agree with eBays claims that within eBay, a "firehose of traffic" is sent to its internal listings (i.e. Auctions). So why the gripe? eBay produces traffic all on its own and it seems they have no real use for, nor do they seem to particularly care if they receive any search engine derived traffic. eBay wants everyone to use the eBay search box, not the Google search box. "Everybody" has not exactly listened to eBay on this directive. Regarding Auction vs Fixed Price - Most websites are not fully indexed within 5 days, not even a small eCommerce website. So, how did the fixed price listing outperform the auction listing on a site that has a "firehose of traffic". This "firehose" is why everyone says eBay is the best place to sell and why eBay can charge so much in fees. Yet, a fixed price listing on a little site like Bonanzle, listed for the same (actually 4 days) received twice as many visitors as the eBay Auction listing. Most people wanting to sell a similar SuperBowl Ticket package, in a speedy way would first think of eBay. My client first thought of eBay, I first thought of eBay and then of course - we listed the package on eBay. I did not expect to see more hits on the Bonanzle listing. I do not think eBay and Bonanzle compete neck and neck on any playing field, not monetarily and not for traffic. The test was a sort of a lark, an attention getter, an idea to see what would happen. I never expected the "test" to be a United Laboratories experiment with blind control groups and extensive data analysis - who do you people think I am - AuctionBytes? What I was hoping to point out, more than anything else, is that eBay is not the only place to find traffic. Google is a pretty darn good traffic generator... with the right keyword selection, and with the right search optimization. eBay is not optimized for Google search, neither auctions, fixed price, or stores listings. Maybe at one time, but in my experience no longer. 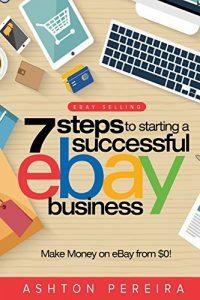 eBay depends upon, promotes, and lives on the laurels of the history of people going directly to eBay to search for products. I believe the number of those people is declining. The preponderance of traffic graphs, earnings reports, and seller anecdotes seems to agree with my assumptions. Bonanzle just happens to be a site that is optimized to take advantage of Google search algorithms, it is clean and fast and quick to index. 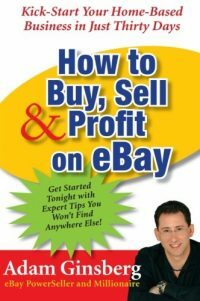 Sellers on Bonanzle can conceivably build a business online that can rival any eBay based concern. Remember here - I said "conceivably" and by that I mean that a lot "right" has to happen, but it can happen. For my money, Bonanzle or your own search optimized and advertised website are the safest bets outside of eBay for quality traffic generation. Do your own tests, blind or open, with the listings set up with proper keyword optimization. If Bonanzle shows you additional traffic over time, that traffic can only build because the listings are on the site until sold, the Google Base works, the site is indexed quickly and often and it is just darn simple to move inventory over to Bonanzle to see how it works for your products. If it does not work for you, the test costs you nothing. If it works a little, then you are a little better off. One Million Listings in 4 Months! ...then, will you will kick yourself for not having tried it sooner? Not so sure about your conclusions here…. * If it does not work for you, the test costs you nothing. * If it works a little, then you are a little better off. I’m interested when it works a lot. If it works a little I’ll look for an alternative that works a lot – again time is money. * If the site, that has grown faster than any other in eCommerce venue in history, continues on this path then, will you will kick yourself for not having tried it sooner? Absolute great little market test Scott! I for one HAVE seen more hits on my Bonanzle site in the four short months there than I have on any of the other sites I have been on, including eBay. And have made more sales also. Could it be due to my own efforts in promoting my booth and my items? ….I certainly hope my efforts are paying off, but I know that Bonanzle’s Google Base tool is really helping, along with the Bonanzle name and the other sellers there all working hard to get the word out. I for one am proud to be a part of getting Bonanzle “up and out there” into the marketplace. It is exciting to see this baby grow. And as I help Bonanzle grow its customerbase, I am growing my own and Bonanzle is helping me do just that. Its a win-win realationship that Yes, Chris has involved time and I too believe my time is worth every penny, but I know for me this investment will pay off. When you discover that Bonanzle is worth your time Chris, Look me up. I will want to be the first to say WELCOME! Keep up the good work Scott…hope to see more little tests like this! Pretty simple actually. Which road of thinking do you subscribe too? If you control your business, which includes marketing, then you can build your business and sell on just about any venue. If you expect the venue to sell for you, then perhaps not. Personally, I prefer to control my own business i.e. which payments to accept, what to sell, shipping charges, etc. Therefore a purely business decision takes me away from selling on ebay. Full disclosure: I sell on Bonanzle, I do not sell on Ebay any longer. It is a venue, a tool. And in deciding my business path, Bonanzle provides me with the tools I need and the sales I need. I use it as a retail portal, and a wholesale shopping cart solution, meaning I no longer need more than one website, without exposing my wholesale prices to retail clients. Google search is definitely “evening out the odds” for all of us. It is one more tool that allows me to build my business where I choose that the available tools, policies, fees etc. fit my business best. Ecommerce is evolving and as business owners, we must be able to evolve with it. My own experience with Bonanzle must be the exception then — I have the same items listed there that I have/had listed on eBay. But my sales consistantly come from eBay. I’ve even listed some of my Craigslist items on Bonanzle (heck, that’s what a freebie import process is for, right?) — and again, the sales were from Craigslist, not Bonanzle. I’m more with Chris on this one — I’m glad there’s competition, and I’m all for those who are willing to help the site build traffic… but I need to sell, and I do that by listing where I get sales. By using what time I have the most profitable way I can. Right now, that means eBay – even with all the rules and fees and what not. Because right now, today, for me, eBay delivers what other sites do not — buyers. Re: If it does not work for you, the test costs you nothing. I guess you have not tried the import to Bonanzle yet, because if you had you would know it only takes about 5 minutes of your valuable time to import all of your listings from eBay. Setting up payment processing via PayPal is less than a moment – Google checkout, if you dont already have an account with take a little longer. The entire process for an eBay seller to set up a test on Bonanzle will take less than an hour of your time. Later, if you like Bonanzle, you may want to clean up the extraneous stuff that came along for the ride from your eBay listings, but this is not necessary. To tell you the truth, I am honored that you have made comments on the TAJ, but I am a bit confused by your choice of issues to come out against. What does it hurt for anyone to try using Bonanzle as an alternative to eBay? I tried it and I liked it. 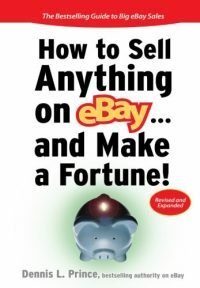 When I sell something via Bonanzle I save on average about 70% – 90% of my costs of selling on eBay. More with higher priced items. I am still on eBay with several seller names, and I have a Bonanzle presence because it is the only alternative I have tried that has sold anything for me. In fact in the last three months I have had more sales derived from Bonanzle than eBay. Is this because I blog about it? Really Chris, What is the harm? And when will you know that it works a lot, if you never give it a chance to work a little? Scott, what Chris and Just A Thought, are saying is they are both incapable of growing their own business and too lazy to attempt. They prefer to sit on the side lines and then come get fat on the work of everyone else. I don’t find it selfish I think it is simple incompetence. Many people have rode the backs of people who did all the work on eBay- including me. However there is a difference in coming to the party late and intentionally hiding in the car until everything is set up. It is a rather sad picture, but I am just dandy with the freeloaders staying on eBay. Good for them, continued success to them (however it is they define success). I personally want money and a descent quality of life can’t have both on eBay, but I am well on my way on Bonanzle. I would like to see a better study of the “Bonanzle just happens to be a site that is optimized to take advantage of Google search algorithms, it is clean and fast and quick to index” statement. I have sold on ebay 10 years. I am interested in Bonanzle but have yet to use it. When I google an item, to see what price points for the item I am listing, I have NEVER seen an item show up from Bonanzle. I have seen many items show up from ebay. I look forward to trying Bananzle in the future when I have the time to do so. And I do hope its as great as I read. I do use google-base for my ebay items and would LOVE a better way to have my products be seen in the google searches. I think ebay is missing that point. They should definitely realize that sellers are more interested in getting traffic than “looking and acting” like the Amazon. But then I forgot. Ebay is less interested in their sellers as they are their stock holders.